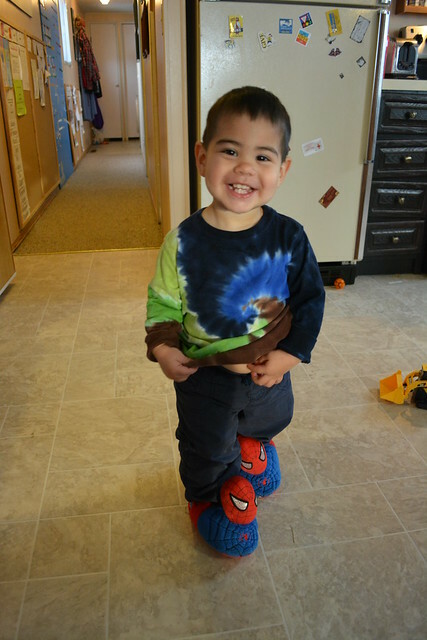 Levi has been going through the phase where wearing grown-ups shoes is the coolest. Last Saturday, I had to go looking for my boots when I was getting dressed, because he had walked with them all the way down to the living room while I was still in "waking up" mode. On this particular day, he was already wearing his own little Robeez slippers. But apparently, that wasn't quite enough. He must also wear his big brother's slippers. 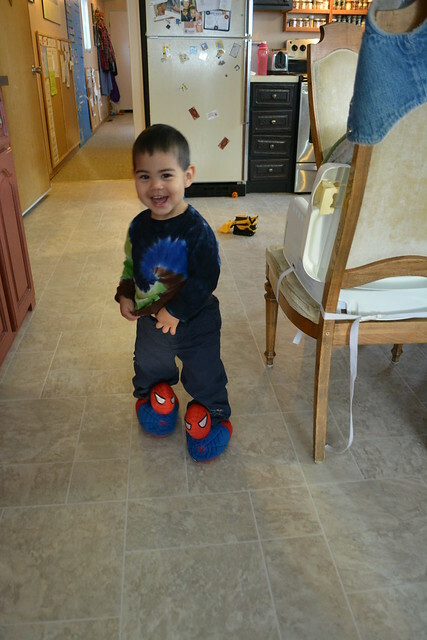 But really, how can you pass up the chance to wear Spiderman slippers? Especially when the eyes light up?! Yup, he's a cool little dude!! Love his sweet grin.